Hello ... Hello ... my old friends ... It's great to see you once again! 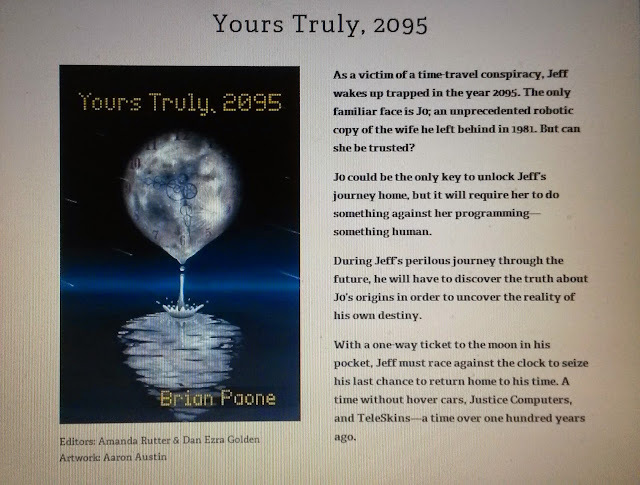 A few weeks ago, acclaimed US author Brian Paone contacted Yours Truly KJS here at ELO Beatles Forever [ELOBF] to talk about his new book entitled "Yours Truly, 2095" - a thought provoking novel adaptation of ELO's classic 1981 concept album "Time" - and another ELO related literary jewel to add to the growing ELOBF reading list! Brian assures me that his new book is full of ELO references including some 200 "Easter eggs" for fans familiar with the typology, symbology and lyrical content in the ELO universe. "As a victim of a time-travel conspiracy, Jeff wakes up trapped in the year 2095. The only familiar face is J0; an unprecedented robotic copy of the wife he left behind in 1981. But can she be trusted? J0 could be the only key to unlock Jeff’s journey home, but it will require her to do something against her programming - something human. During Jeff’s perilous journey through the future, he will have to discover the truth about J0’s origins in order to uncover the reality of his own destiny. With a one-way ticket to the moon in his pocket, Jeff must race against the clock to seize his last chance to return home to his time. A time without hover cars, Justice Computers, and TeleSkins - a time over one hundred years ago." ELO Beatles Forever [ELOBF] recommends "Yours Truly, 2095" by Brian Paone to those enlightened folks who like ELO, Jeff Lynne, Roy Wood, The Move, The Idle Race, 'Brum Beat', The Beatles and related artistes. Thank you! 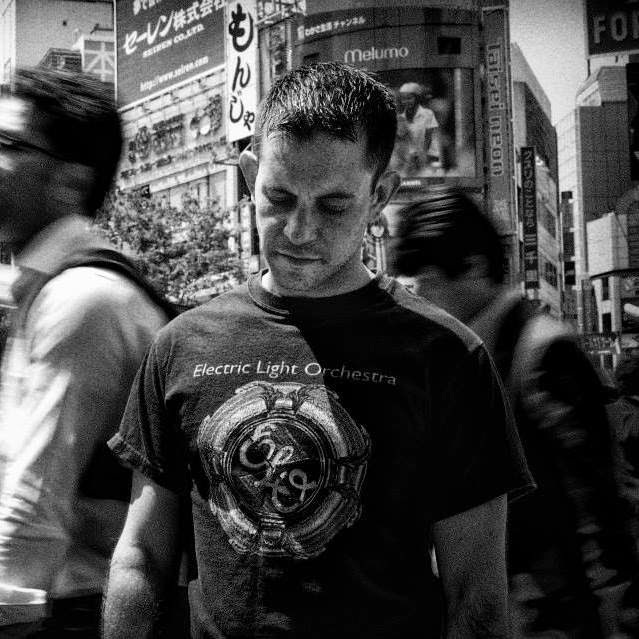 That picture was taken in Hachiko Square in Shibuya, Tokyo (Japan.) It's the busiest intersection int the world and I really wanted to do the photo shoot there to give it a claustrophobic feel. That is the author picture that will be on the back cover of the book.